Conversation Drivers are actions that drive or keep a conversation going. These behaviors include staying on topic, asking others questions, and taking turns speaking. Conversation Stoppers are actions that will stop a conversation before it's ready to be over. Some examples of Conversation Stopper behaviors are shifting the topic too early, only talking about yourself or your interests, and doing all of the talking. 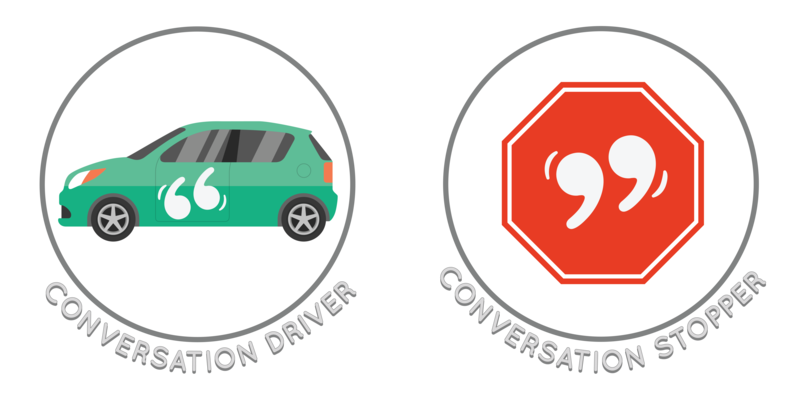 We want to teach students how to use Conversation Drivers and recognize when they've used Conversation Stoppers.